Honey is a stable food with many benefits. 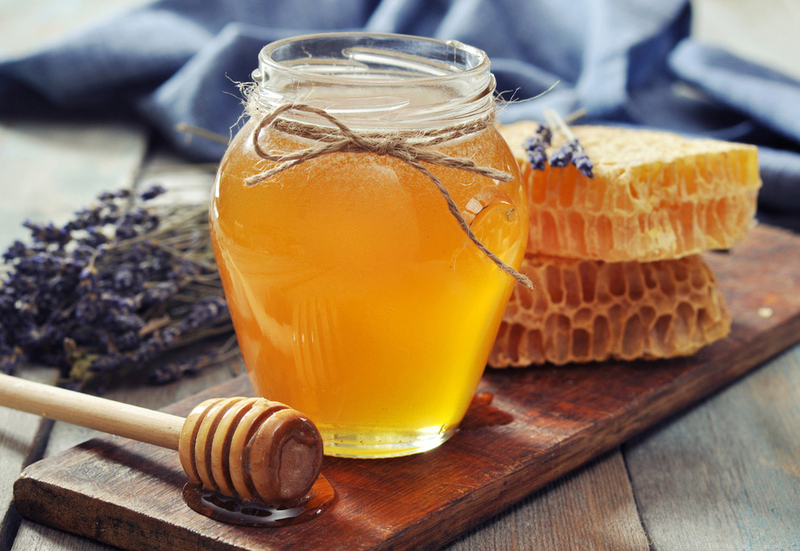 Consuming local varieties may help fend off allergies so always try to buy your honey from your local beekeepers, their product will be well worth the extra you may have to pay over the cost of supermarket imported honey. Read their label. Cheap imports are seldom of high quality and are often blended with honey from a number of different sources from around the world. Chinese honey was removed from supermarket shelves a few years ago as it was found to be contaminated with a chemical that was banned in the western world. The chemical had been used by Chinese beekeepers to suppress a bee disease. British beekeepers are not allowed to use any chemicals to control diseases. They must use the services of DEFRA’s Bee Inspectors who are properly trained in the welfare of bees. There are some unscrupulous suppliers around the world. a couple of years after the EU banned the Chinese honey Spain received a consignment of Argentine Honey which turned out to be Chinese! Recently counterfeit Manuka Honey from NZ was found in England. British beekeepers are not permitted to print “Organic Honey” on their labels. If you see a jar of honey saying it is organic you can be sure it is imported and could be of doubtful origin. The consignment only needs to imply it is organic for packers to label imported honey as organic because no tests can normally prove otherwise. The best UK beekeepers remove only the surplus honey from their hives, leaving enough for the bees to live on over winter. With a special un-capping tool the beekeeper removes the wax cell-caps and extracts the honey in a centrifuge. The honey is immediately filtered to remove any particles of wax and stored ready for bottling. Each batch of honey is unique in that the honey has been made from the nectar of currently available flowers which the bees of that hive have visited and collected nectar from. Honey naturally resists molds, fungi and other bacteria, allowing it to last for years without refrigeration. All honey contains a natural amount of Hydrogen Peroxide which keeps it bacteria free. Manuka honey has a slightly higher amount than most though hardly justifies the very high prices being charged. Stick with the realistically priced British honey which tastes equally as nice, or better. Did you know that sugar has 387 cal/100gm whereas honey only has 304 cal/100gm.